Eight Chesfield ladies joined the gym staff in a 10 hour spin in aid of Comic Relief on Saturday. Well done! Kathy Dale triumphed over Lauren Pitcher in the final on Monday afternoon. First silverware of the season for the Club Captain (who also now has her own parking space). Undefeated Moor Park ladies were the visitors to Chesfield on Wednesday as we resumed our Pearson challenge under the superb captaincy of Marica. I am delighted, nay, thrilled to announce that we won 6-1!!!!! What an amazing effort by ALL the team. Bring on Ashridge next Wednesday. The Spring weather is bringing everyone out and tee times are filling up quickly. If all the slots are taken it is possible to make a four ball at the end. Please contact Lin Goodey if you wish to do this. Please sign up by 6th April. The draw will then be made and emailed out on Friday 7th April giving you plenty of time to coordinate your purple outfit with your partner. Any ladies wishing to join us just for afternoon tea please contact Sarah. New score cards have now been printed for 9 hole qualifiers. These will be kept in the locker room to avoid confusion at the desk. Sarah and I had the honour of playing with and meeting the Captains and Vices from 15 Hertforshire clubs at Verulum Golf Club on Friday. The company was good, the food was good the golf was…. golf. Over lunch we exchanged ideas and tips which was most enlightening. Roz Mackenzie, a member at Chesfield for many years has decided because of work and distance away from the club not to rejoin. 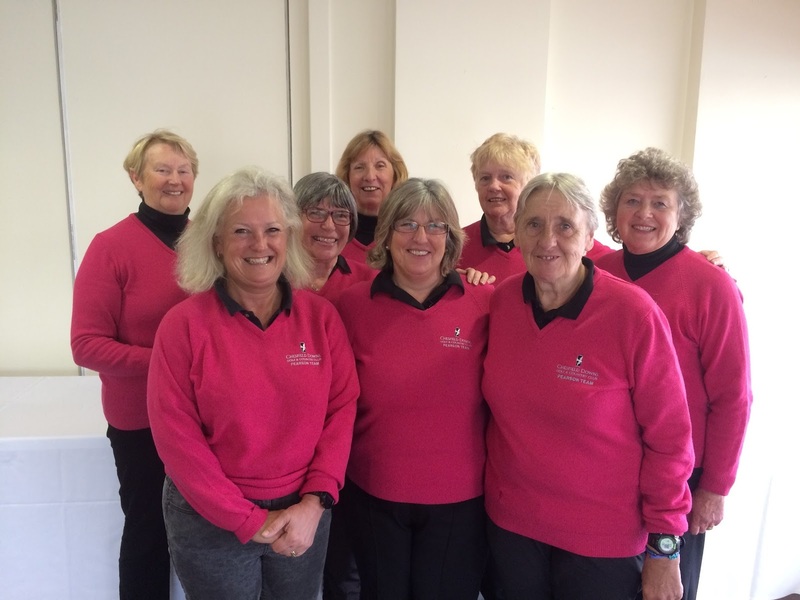 “ I have made friends for life through golf and will always think back to the fun and enjoyment I had with the Chessie ladies. 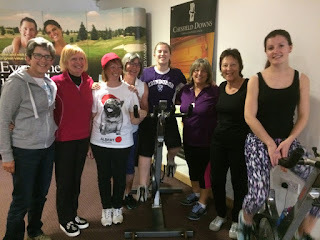 I also want to say a huge thank you to all the generous ladies who supported my venture with Patti when we were raising funds for Women v Cancer”. Always welcome back Roz. First weekend qualifier, March stableford saw Nikki Brooke score a whopping 43 points and get a well deserved handicap cut of 3 shots. Round 1 of the Stableford League. Scores are available on our website under ‘Leaderboard’. Shorts and tee shirts made an appearance in the Maria Moore Millenium Bowl as temperature hit the low 70’s ( in old money). Did the score reach that??? Find out at the Spring Meeting (11th May) when the trophy will be presented. A quarter of the way through my Captaincy..... slow down time, it is going too fast. Thanks to all the lovely Chesfield Ladies I am enjoying every minute of it. Happy golfing.